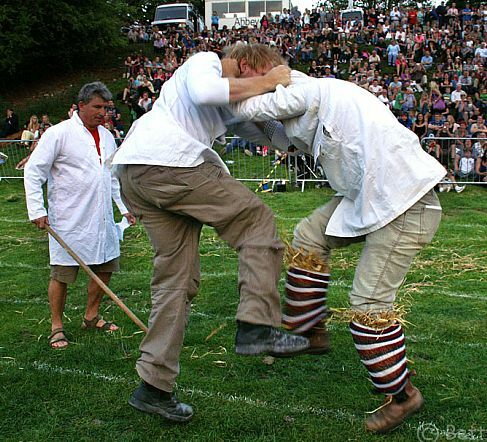 Chipping Campden began hosting its own Cotswold Olimpicks in 1612 and the annual event - which features the Shin-kicking World Championships - is as popular as ever more than 400 years later. To mark the Cotswold town's trailblazing contribution to the Games, the Olympic torch passed through Chipping Campden on July 1, 2012, prior to the London Olympics. The Falcon Hotel in Painswick has the second oldest bowling green in England, having been in regular use for over 450 years. The flat green in Painswick was built in 1554 at the back of the then newly built Falcon Inn. The Falcon Bowling Club, which now uses the green, dates back to the early 20th Century. Only the Southampton Old Green Club, with a history dating back to 1299, can claim it is older. Members of the Falcon Bowling Club have included Tony Allcock, the 14 times world champion turned chief executive of the English Bowling Association. The historic 16th Century building served as a courthouse for 200 years and was also used for cockfights. 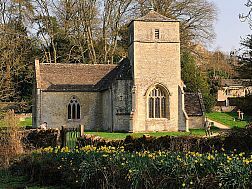 The world's oldest horse racing club, The Bibury Club, was formed in the heart of the Cotswolds in 1681. The Bibury Club held race meetings on Macaroni Downs, above Bibury village, until the early part of the 20th Century. 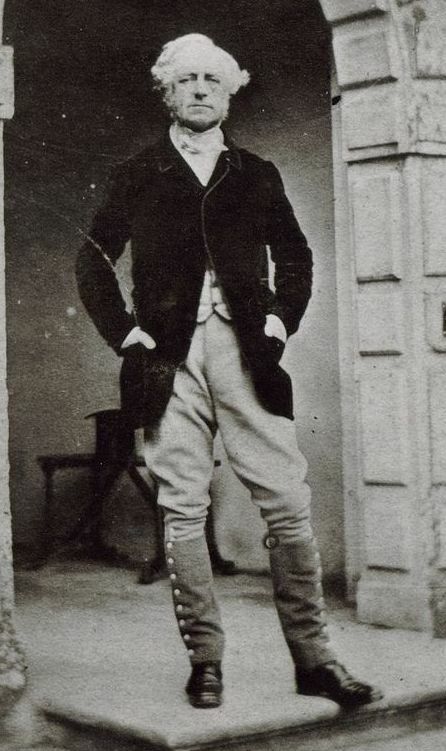 Lord Sherborne (1855-1883), who lived at Bibury Manor, which is now Bibury Court Hotel, was an avid racehorse breeder and active member of The Bibury Club. The Bibury Club transferred its patronage to Salisbury racecourse in 1899, and the meeting, which features the Bibury Handicap, has continued ever since. 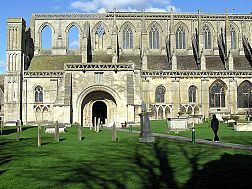 The game of badminton has its roots in the Cotswolds. In the 1860s, British India officers stationed in the Indian city of Poona, while playing the traditional British game of Battledore and shuttlecock, added a net between the players and started playing what was known at that time as the 'Poona game'. When these officers returned home to Gloucestershire, they took their new game with them. Then at the Badminton House of the Duke of Beaufort, the 'Poona game' was once played, and became popular and started to be called as badminton. The game of badminton soon spread to other parts of Europe and the United States and formal rules were drafted, with the game eventually being recognised as an Olympic sport at the 1992 Barcelona Olympics. The Cotswolds can well and truly lay claim to be the centre of the croquet world. 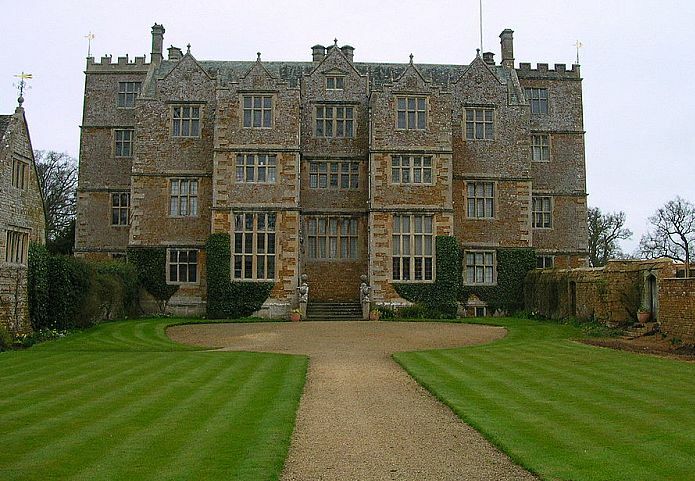 Chastleton House, a Jacobean country house situated at Chastleton, near Moreton-in-Marsh, is considered the birthplace of croquet as a competitive sport. The middle terraces of the garden are the site of two croquet lawns, which were originally laid out by Walter Whitmore-Jones in the 1860s. His version of the rules of croquet, published in The Field in 1865, became definitive. Meanwhile, Cheltenham is now home to the headquarters of the national body of the sport, The Croquet Association. With 11 full-sized lawns, Cheltenham Croquet Club is one of the largest in the country and has hosted a number of major championships, including the World Championships in 2005 and the Mitsubishi Motors European Team Championship in 2009. 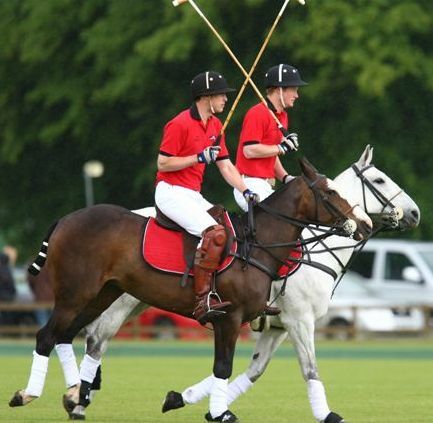 Cirencester Park Polo Club, which was inaugurated in 1894, has a host of Royal claims to fame. King Edward VIII was the first member of the British Royal Family to play polo at the club and since then, other Royals to have appeared at Cirencester have included the Duke of Edinburgh, Charles, Prince of Wales, and his sons Prince William, Duke of Cambridge, and Prince Harry. Cirencester Open Air Swimming Pool, built on the edge of Cirencester Park in 1869, is Britain's oldest open air pool and is unique in that it offers the chance to swim in natural spring water heated to an average 27°C (80°F). Some of the finest cricketers to have ever played for Gloucestershire have hailed from the Cotswolds. Cheltenham-born Gilbert Jessop was arguably the finest all-round sportsman of his generation in the period before the First World War. Born in 1874, Jessop played cricket for his native Gloucestershire for 20 years from 1894-1914. He represented England and was regarded as the fastest run scorer cricket has ever known. Although he was only 5ft 7in tall and was nicknamed "The Croucher" because of his unusual hunched stance at the crease, Jessop scored runs at a phenomenal rate. The Fifth Test between England and Australia at The Oval in August 1902, became known as "Jessop's match". A quality Australian side set England 263 to win in the fourth innings and Jessop came to the crease with England at 48 for 5. He scored his first 50 runs in 43 minutes and reached his century in 75 minutes, having faced 76 balls - one of the fastest Test centuries of all time. Jessop was eventually dismissed for 104, but his efforts were enough to help to a one-wicket victory. Jessop was a genuine all-rounder and a bowler of considerable pace, taking 873 first class wickets in his career. In 1897 he famously did the "double" of 1,000 runs and 100 wickets in a season, and Wisden making him a Cricketer of the Year in 1898. Jessop was described by the legendary Australian cricketer and commentator Richie Benaud as "perhaps the best one-day player to have ever lived and never played that form of cricket." Apart from being a phenomenal cricketer, Gilbert Jessop was highly talented in a number of other sports. He played soccer for Gloucester AFC and Cheltenham Town FC and also appeared as a wing-three-quarter for Gloucester RFC. He also won his university Blue as a hockey goalkeeper, he was a scratch golfer, he could run the 100 yards in 10.2 seconds and frequently took part in sports meetings and was even a talented billiards player. Cecil "Sam" Cook was one of the best cricketers to come out of the Cotswolds who, quite remarkably, took almost as many first-class wickets in his career as he scored runs. Born in Tetbury in 1921, Cook was a small and stocky slow left-arm spinner. He played for his native Gloucestershire from 1946-1974, taking a wicket with his first ball in first-class cricket. Cook enjoyed his best-ever season in 1956, taking 149 wickets for under 15 runs apiece. He played one Test match for England against the South Africans at Trent Bridge in 1947. In all first-class cricket, Cook took 1,782 wickets, but being no batsman at all, he scored just 1,965 runs and never reached 40 in an innings. After retirement, Cook stood as a first-class umpire until 1986 and died in his hometown of Tetbury in September 1996, at the age of 75. 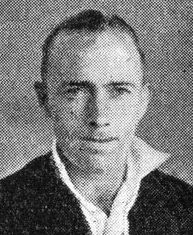 Cook's obituary in Wisden stated: "It was a familiar loudspeaker announcement at the county ground in Bristol during the late 1940s. "With his plummy voice and wavering degrees of optimism, Colonel Henson, the Gloucestershire secretary, would ask over a crackling line: 'Is anyone going Tetbury way? Cook would be grateful for a lift'." Jack Russell, the former Gloucestershire and England wicket-keeper and one of the most eccentric cricketers to have ever played the game, was brought up in Stroud. After entertaining cricket fans for over 20 years with his superb wicket-keeping and quirky batting style, Russell has enjoyed a second career as an artist and now has his own gallery in Chipping Sodbury. Born Robert Charles Russell in 1963, he attended Archway School in Stroud where he was guided towards Gloucestershire County Cricket Club which he joined in 1981. Russell made his England debut in 1988 and went on to play for his country in 54 Test matches and 40 One Day Internationals, with a highest Test score of 128 not out against Australia . Russell was also a crucial part of the Gloucestershire's successful one-day side and in 2002, but after suffering persistent back problems, he retired from county cricket in 2004, at the age of 40. 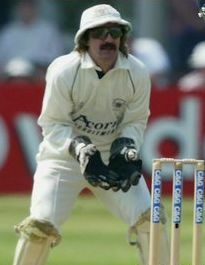 Although he was regarded as one of the greatest wicket-keepers to have played for England and was also a dogged batsman, Russell became almost as well known to casual observers for his various eccentricities. Some of his more notable oddities included a diet to supplement his extreme fitness regime, which consisted largely of tea, biscuits and baked beans. He would often get through 20 cups of tea a day and used to dip the tea bag in once, add plenty of milk, then hang it on a nail ready for subsequent use. In the final Test of the 1989 Ashes series at the Oval, England team-mate Derek Randall counted that Russell used the same bag for all five days, which roughly equates to 100 cups. For lunch, Russell would eat two Weetabix, soaked for exactly eight minutes in milk, and a mashed banana. On the field, he insisted on always wearing the same battered old flowerpot sun hat, a constant companion for his entire first-class career. The sun hat ended up rather worn out, and only Russell's wife Aileen was allowed to repair it. Although he had not studied art at school, Russell had an interest in the subject and has developed it into a second career. Having gained plaudits for his paintings of cricket grounds around the world, Russell has also painted many famous people, including comedian Eric Sykes (a fellow wicket keeper), Sir Norman Wisdom, Sir Bobby Charlton, Eric Clapton and Prince Philip. Russell now has a gallery in Chipping Sodbury, and exhibits in London, displaying sights and scenes of his home area in Gloucestershire, architecture, classic military battlefields, and wildlife. Russell has also been involved in football in his home county of Gloucestershire and in 2007, he was appointed goalkeeping coach for Nailsworth-based Forest Green Rovers. Football, England's most popular sport, doesn't feature heavily in our list of Cotswolds Claims to Fame, but Mike Summerbee, a member of the successful Manchester City football team of the late 1960s and early 1970s and who played eight times for England, was raised in Cheltenham. Born in Preston in 1942, Summerbee attended Naunton Park Secondary Modern School in Cheltenham and in 1959 at the age of 16 played the first of more than 200 games for Swindon Town, for whom he scored 38 goals. Summerbee signed for Manchester City in 1965 for a fee of £35,000 and went on to make more than 400 appearances. Summerbee was among the footballes who starred in the cult 1981 film Escape to Victory alongside Sylvester Stallone, Michael Caine and Pelé. Summerbee is now the Club Ambassador for Manchester City and his son, Nicky, is also a professional footballer, following in his father's footsteps by playing for both Swindon Town and Manchester City. In 1980, five-times British Champion Jockey Willie Carson took over the Minster House Stud at Ampney Crucis, near Cirencester, and he and his wife Elaine have developed it into a state-of-the-art stud complex. After his retirement as a jockey, Scottish-born Carson has enjoyed a varied career, including two years as a team captain on the popular BBC TV show A Question of Sport. Alongside Clare Balding, he also presented horse racing on BBC1 until the television channel ended its racing coverage at the end of the 2012 season. In November 2011, Carson took part in the 11th series of ITV1's reality television show I'm a Celebrity...Get Me Out of Here! in which he came 5th. In 1988, Eddie "The Eagle" Edwards, a plasterer from Cheltenham, became an unlikely hero when he was the first competitor to represent Great Britain in Olympic ski jumping. Despite finishing in last place in both the 70m and 90m events, Edwards became famous as an example of a plucky underdog and 'heroic failure'. Cricketers from the village team in Shipton-under-Wychwood, near Burford, have achieved several times something some professional cricketers never accomplish - playing at Lord's, the home of cricket. Shipton's 1st XI is one of the strongest teams in Oxfordshire and has enjoyed regular success in the Home Counties Premier League. In 1997, the club made it to the final of the National Village Knockout, played at Lord's. Despite ending as runners-up, they fought their way to the final again in both 2002 and 2003, and were triumphant on both occasions. The club made it to the final again in 2010 but didn't manage a third cup win. In 2010, a village cricket team in the Cotswolds hit the headlines of a number of national newspapers when one of the world's most famous rock bands agreed to sponsor their new shirts. Slaughters United - which combines the cricketing talents of the neighbouring villages of Lower Slaughter and Upper Slaughter - secured the backing of Coldplay. Paul Heming, the club's secretary and a wicket-keeper batsman, had heard that Guy Berryman, Coldplay's bass player, had sponsored the under-15 team at nearby Stow-on-the-Wold Rugby Club and wrote to him asking if the band might consider helping Slaughters United to get some new kit. Berryman replied, saying the band would be "delighted" and a cheque for £750 swiftly followed. 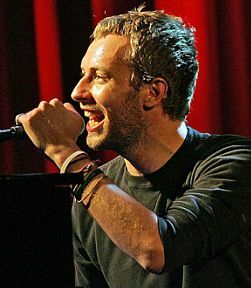 Heming told the media at the time: "Coldplay was a bit of a coup for us. I'm sure very few cricket clubs are sponsored by a world-famous band." Coldplay's front-man Chris Martin has first-hand knowledge of village cricket, and is reputedly a useful batsman. Apart form playing for the club in Devon where his father was president, the singer has been involved in a game or two at Great Rissington in the Cotswolds, not many miles from The Slaughters club. 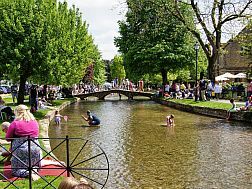 A champion strongman whose mother is from Newcastle and father from Iran can rightly call the Cotswolds his home. Laurence Shahlaei, who was born on Christmas Day 1982, is a winner of England's Strongest Man, Britain's Strongest Man and a regular competitor at the World's Strongest Man. 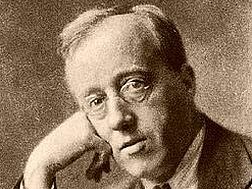 He attended Balcarras School in Cheltenham and later moved to Stroud. According to his biography, his mother is from Newcastle and his father is from Kermanshah, Iran. Olympic rowing gold medallist Peter Reed MBE grew up in the Cotswolds. Reed was born in Seattle in 1981 but his family moved to England several months later. He was raised in Nailsworth and attended Cirencester Deer Park School. 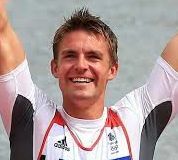 As well as winning a clutch of gold medals in the World Championships, Reed won gold in the Men's Coxless Four at the 2008 Beijing Olympics and the 2012 London Olympics. Reed stands at 6ft 6in tall and was reported in 2006 as having the largest recorded lung capacity (11.68 litres). 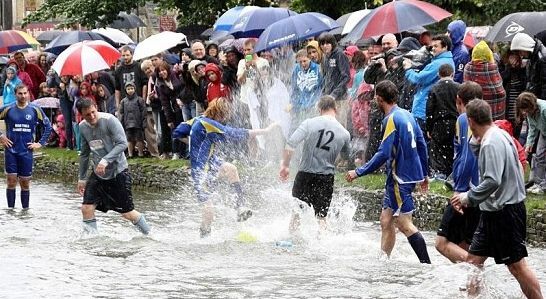 Bourton-on-the-Water's annual football in the river match has grabbed plenty of national media attention in recent years. Played each year on August bank Holiday Monday, the match is regarded internationally as a typically quirky British event. 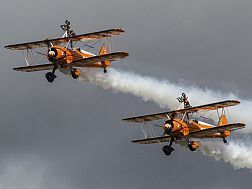 In the last few years it's been filmed by BBC's Countryfile programme and also on Channel 5, with TV presenters Adam Henson and Paddy McGuiness both testing the waters to take part in the match. TV companies from Germany, Japan and New Zealand regularly turn up to film the event. Despite having a population of under 7,000, Nailsworth is able to boast two non-league football teams. Forest Green Rovers currently play in the Conference National, one level below the Football League, at the New Lawn Stadium, while Shortwood United FC play at the Meadowbank Ground.